Other than reading a couple of books, he had no education in the stock market and had simply made money in a very bullish market. This is a common theme among traders who believe they are invincible after taking profits from the stock market over a short period of time, particularly when the market is bullish. So what do you think his chances were of becoming a successful trader if he took his long service leave and did nothing more to educate himself? Statistically, anyone trading options has less than a 5 percent chance of being successful in the long term, but that aside, even if he were to trade stocks, what do you think his chances would have been? At best guess, I would have said less than 50 percent, although, if I am to be truly honest, I believe it would have been less than 30 percent. If it is your intention to create a lifestyle from trading, you need to follow the “Be, Do, Have” principle. You need to BE a full-time trader, DO what a full-time trader does, and then you will HAVE what a full-time trader has. It can take up to two years for anyone to become a full-time trader, if not longer. Knowledge is everything in the context of trading. The streets are littered with wanna-be traders and, in a bull-market, many are profitable through sheer luck rather than sound knowledge. To be a full-time trader, you need to combine a high level of knowledge with experience; without this, your probability of success over the long term is very low. When you leave work to trade full time, you no longer have the security of a regular income. This means your attention is often focused on making profits from every trade to pay the bills. This need for survival often results in the trader trying to trade more to make up for any trading losses or because they are unable to meet their day to day financial needs. Consequently, a spiral of increased pressure begins, resulting in the trader taking higher risks to get back on top. Unfortunately, because of their lack of knowledge and experience, many end up back at work. Being a full-time trader does not mean you work every day. It simply means that your trading is paying for your lifestyle. This is a very important distinction and one I recommend you ponder if your goal is to trade full time. Trading is about creating a lifestyle, not making it your lifestyle. Hence, if your goal is to replace your income of $100,000 a year, it does not mean you have to make around $2,000 a week from trading. It just means your total trading profits over one year need to equate to $100,000. Looking at it like that, rather than the micro-view of generating $2,000 a week, will make a dramatic difference to your psychology and how you trade the market. Another very important point is that you should only subject yourself to the amount of risk you need to achieve your goal(s). For example, if you have $500,000 to invest and you need an income of $50,000 a year, you only need a return of 10 percent. Just buying the top blue chip shares over the medium to longer term should deliver this income in a reasonable market. If you only have $100,000 to invest and you still require $50,000 in income a year, you will need to generate a 50 percent return on your capital. Therefore, you will need to trade shares that assist you in producing this return or use leveraging in your trading plan. If your goal is to trade full time, I highly recommend you prove to yourself that you can not only trade but also make the sort of income you want from trading while still working. And you should do this for an absolute minimum of six months although, 12 months is preferable. Now, I can hear some of you saying, “But if I give up work, I will have more time to trade and, therefore, I will naturally get better returns.” My response to this is: prove it. It simply does not work that way. If you can replace your income by trading while still in a full-time job, not only will your confidence increase but you will also have built up a sum of money to draw upon when you do finally go on to be a full-time trader. Having this “safety' margin” is one of the smartest plans you can have as well, and it is one of the main strategies for building wealth. What exactly is a "safety" margin? It is simply a fail-safe plan in case things go wrong. For example, if you use leveraging to invest, you could avoid using all of the available funds that the lender provides. If you want to be a full-time trader and trade for a lifestyle, the having a safety margin means having enough cash in the bank to sustain your lifestyle for at least 6 to 12 months. This will give you more options when something does go wrong. All too often I see traders attempting to trade full time without enough cash to support themselves end up trading short term and taking higher risks. This only results in making trading decisions based on the need to derive an income rather than on good trading techniques. Consequently, they end up exiting trades when they should hold or entering trades in the hope of a quick profit. However, you should never place yourself in the position of relying on emotional decisions as this is a trader’s greatest downfall. One of the biggest misconceptions about becoming a full-time trader is that you need to trade short term. If your capital limits you to trading this time frame, I recommend you revert to my original proposed strategy of trading while working full time. Failure to do so will place you at high risk of losing your capital and ending up back at work regardless. The best way to set yourself up if you want to trade full time is to follow my four golden rules to investing. 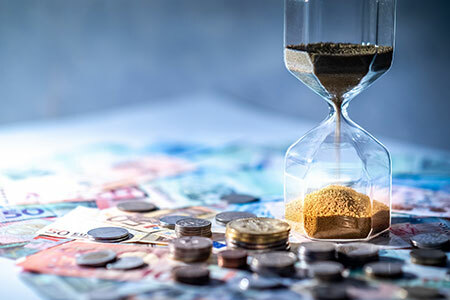 This involves allocating 90 percent of your capital to a medium to long-term portfolio that will perform year in year out, and allocating the remaining 10 percent to short-term trading to generate cash flow. This ensures you are protecting your capital by not subjecting the majority of it to high-risk trades. For example, if you have $200,000 in capital and you need to make $50,000 in income, your asset allocation would be $180,000 in a safe, medium-term portfolio, with the average trade length between seven and eighteen months. If you averaged a 12 percent return on this portfolio each year including dividends, you would receive $21,600, which means you only need to make $28,400 from your short-term trading account. Therefore, the $20,000 in capital allocated to your short-term trading needs to generate, on average, just over $2,366 per month. Now let’s assume you decide to use leveraging to trade short term, which in some markets allows you to leverage ten times your capital. This means you would have $200,000 to invest. Therefore, if you trade a stock using leverage, it only has to rise around 1.5 percent in a month for you to make around $2,366 per month, assuming you only invest 80 percent of your available capital ($160,000) for short-term trading in four leveraged positions so as to minimize your risk. This is very achievable and, more importantly, very repeatable for someone who has acquired the knowledge and skill and has the experience. Some instruments, such as Forex, allow you to trade on a margin of 1 or 2 percent, although this is not recommended unless you are extremely proficient as a trader and have the time and knowledge to manage this risk. That said, if you allocated $20,000 to trade on a margin of 1 percent, you would have $2 million in your short-term trading account. To achieve the same return trading on a margin of 10:1, all you would need to do is move the decimal point by one place, which means the trade only needs to rise around 0.15 percent in a month for you to make around $2,366 per month. This assumes you have only invested 80 percent of your available capital for short-term trading in four leveraged positions. People often want to start trading the stock market because they are sick of working full time and desire a change in their lifestyle. Getting up at six a.m. is not exactly exciting, especially when working for a company that does not pay well or appreciate your efforts. If it is your desire to have the profits from your trading pay for your lifestyle, I recommend you transition to trading full time by working part time rather than giving up work entirely. This has huge benefits, as your psychology will slowly adjust to being less dependent on a steady income stream. 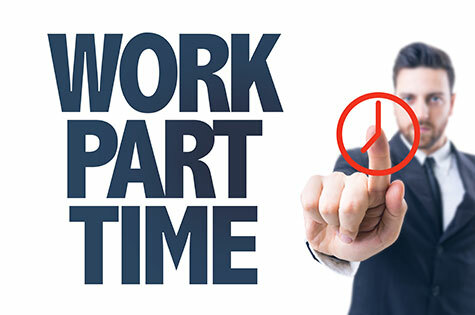 Working part time will also allow you to transition to a life of deriving your income from trading. Funnily enough, people find they actually crave work again after they leave. At my recent Art of Trading workshop, a client shared how he was in the process of decluttering his life while transitioning to trading for a lifestyle. He had reduced his hours at work, and on his days off he was honing his trading skills to enable him to replace his income in its entirety. He also shared that in the process he was selling things he did not need and downsizing his living arrangements so he could travel and enjoy the benefits of his new lifestyle. 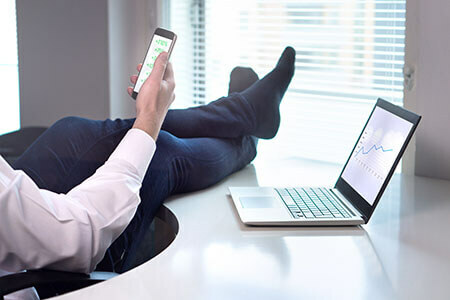 It’s worth mentioning, however, that trading for a lifestyle is not for everyone; it can be lonely—you are home alone while your friends are at work, and this can lead to boredom. Some people I know have taken up hobbies or charity work to keep themselves occupied, while others have gone back to work even though they were successful in generating sufficient income from their trading to maintain their lifestyle. Before you leap, it is important to consider the changes that will occur to your lifestyle. The transition to trading for a lifestyle is a journey; it is not something that happens overnight. Some people find when they get there that it is the best thing they have ever done, but others find it is not for them. Whether you ultimately decide to trade for a lifestyle or not, the most important point is that you enjoy and profit from the journey. You may also want to consider purchasing my latest award winning book Accelerate Your Wealth, It's Your Money, Your Choice. And If you would like to learn how you can become a profitable full-time trader, view our trading courses. You can also check our what our clients have to say by viewing their reviews and testimonials.